Chinese Cast Coin or Medal? Emp. Hsien-feng? It's the bottom one that I'm unsure about. I think the upper two are 1796-1820, Emp. Chia-Ching Tung Pao. The bottom one may be some sort of medal for Emp. Hsien-feng?? Does anyone know more on the medal with English dates on it? 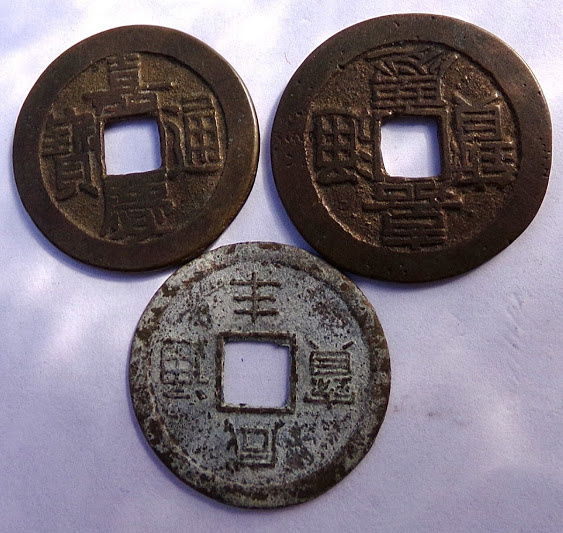 Re: Chinese Cast Coin or Medal? Emp. Hsien-feng? This is a modern token for tourists not a coin. 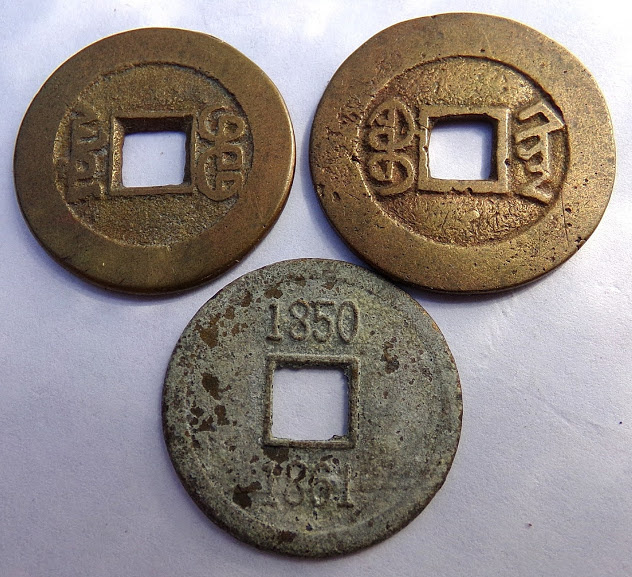 I've seen the whole set, with all Qing emperors and the respective regnal periods on the reverse.